America’s Second Lady Karen Pence and Immanuel Bible Church in Virginia are under attack by sexual-deviancy advocacy groups. 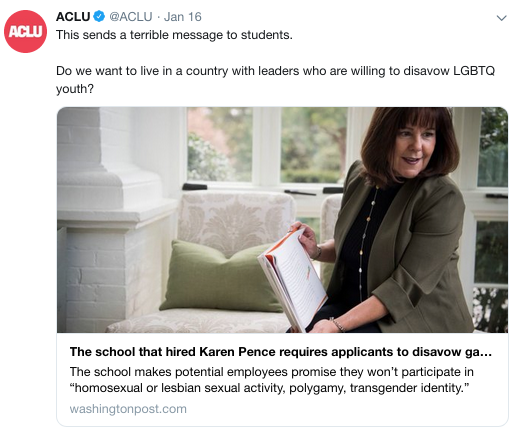 America’s Second Lady Karen Pence and Immanuel Bible Church in Virginia are under attack by sexual-deviancy advocacy groups. 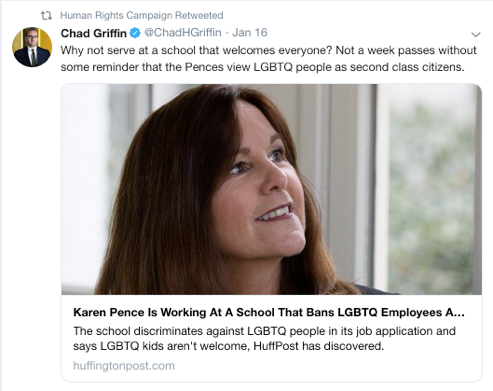 The Human Rights Campaign (HRC), the American Civil Liberties Union (ACLU), and others are attacking the deeply held religious beliefs of both Mrs. Pence and the church’s ministry— Immanuel Christian School.